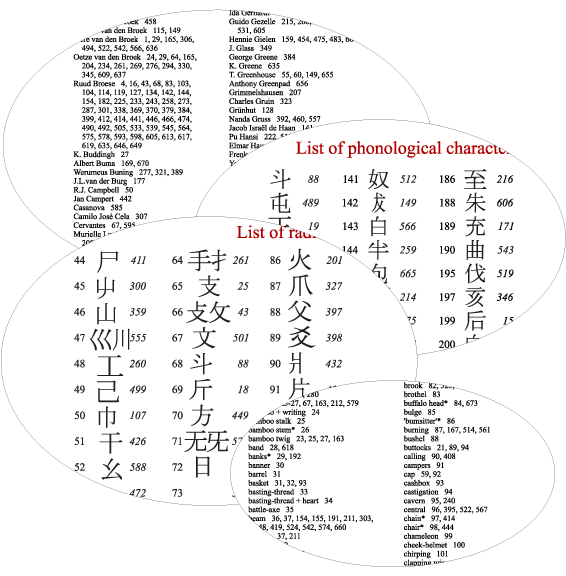 A large index of Chinese graphs, keywords and names allows the reader to cross-reference everything as he wishes. Also included are a list of the 214 radicals and a limited list of Chinese fon-characters. For example: every Chinese sign connected with water is easily found by looking it up in the index.